The book has been fully revised and updated but remains concise, illustrating key aspects of effective monitoring with case studies and examples. 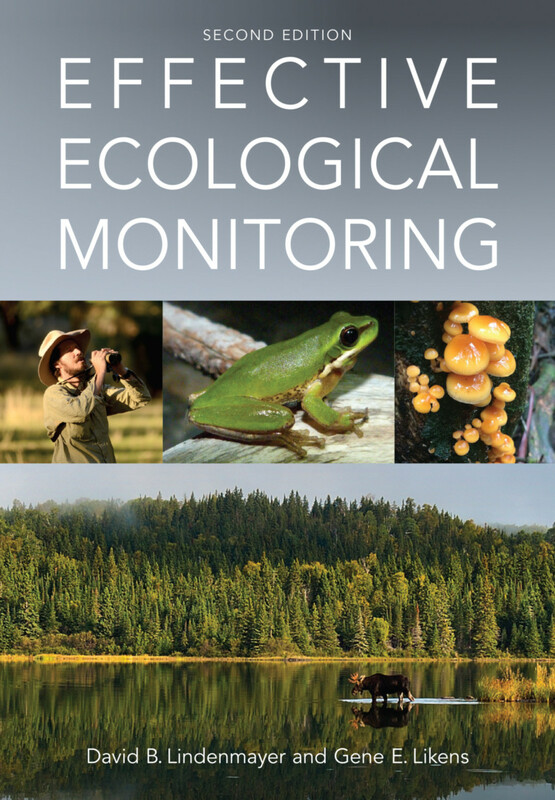 It includes new sections comparing surveillance-based and question-based monitoring, analyzing environmental observation networks, and provides examples of adaptive monitoring. "Lindenmayer and Likens have distilled decades of experience into a book about how to study the long, large, and slow processes of ecological change....This volume illuminates the practical as well as the deep intellectual challenges of long-term science." David Lindenmayer is a Professor at The Australian National University. He has worked on the conservation of forests and their wildlife for more than 35 years. He has published 45 books and over 1100 scientific papers, and has broad interests in conservation biology, landscape ecology, vertebrate ecology, forest ecology and woodland conservation. He has received numerous awards and is a member of the Australian Academy of Science and an Australian Research Council Laureate Fellow. Gene E. Likens is an ecologist best known for discovering acid rain in North America, for co-founding the internationally renowned Hubbard Brook Ecosystem Study and for founding the Institute of Ecosystem Studies in Milbrook, New York state. He holds faculty positions at Yale, Cornell and Rutgers Universities, State University of New York at Albany, and University of Connecticut and was awarded the 2001 National Medal of Science. He is the author, co-author or editor of 17 books and nearly 500 scientific papers and articles.